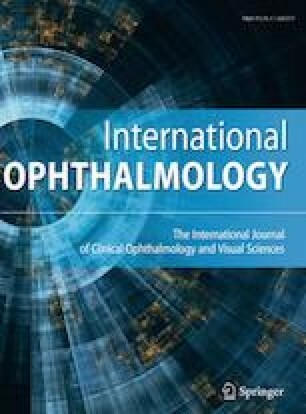 There is currently little evidence assessing the repeatability and accuracy of central corneal thickness measurements using the devices Tonoref III and RS-3000. This study aims to compare these devices against measurements by ultrasound pachymetry. Central corneal thicknesses were measured on 50 eyes. Measurements from two non-contact devices—Tonoref III (NIDEK CO., LTD, Gamagori, Japan) and RS-3000 (NIDEK CO., LTD, Gamagori, Japan)—were compared against ultrasound pachymetry, the gold standard. Ultrasound measurements were obtained using a ‘Pachmate’ device (DGH Technology, Inc, Exton, PA, USA). Repeatability was defined as the value that the difference between two consecutive measurements falls below 95% of the time. The within-subject standard deviation and repeatability values were calculated for Pachmate and Tonoref III by one-way ANOVA. Repeatability of RS-3000 was determined by nonparametric analysis. Agreement between Tonoref III and Pachmate was assessed by a Bland–Altman plot. Agreement between RS-3000 and Pachmate was assessed by nonparametric analysis. The Pachmate, Tonoref III and RS-3000 had repeatability values of 16, 7.4 and 5 µm, respectively. The mean difference between Tonoref III and Pachmate was − 15 µm (95% LoAs − 31 to + 0 µm). The median value for the difference between RS-3000 and Pachmate was − 4 µm (95% of values within − 24 and + 4 µm). The Tonoref III and RS-3000 showed good repeatability when compared to ultrasound pachymetry. However, neither instrument agreed interchangeably with CCT measurements by ultrasound pachymetry. Practitioners should determine whether the level of agreement is sufficient to meet their clinical needs. All procedures performed in studies involving human participants were in accordance with the ethical standards of the institutional and/or national research committee (UNSW Sydney) and with the 1964 Helsinki declaration and its later amendments or comparable ethical standards.